Once I found out I was pregnant, one thing that worried me was Stretch Marks! As my belly was stretching and getting bigger it would itch like crazy! 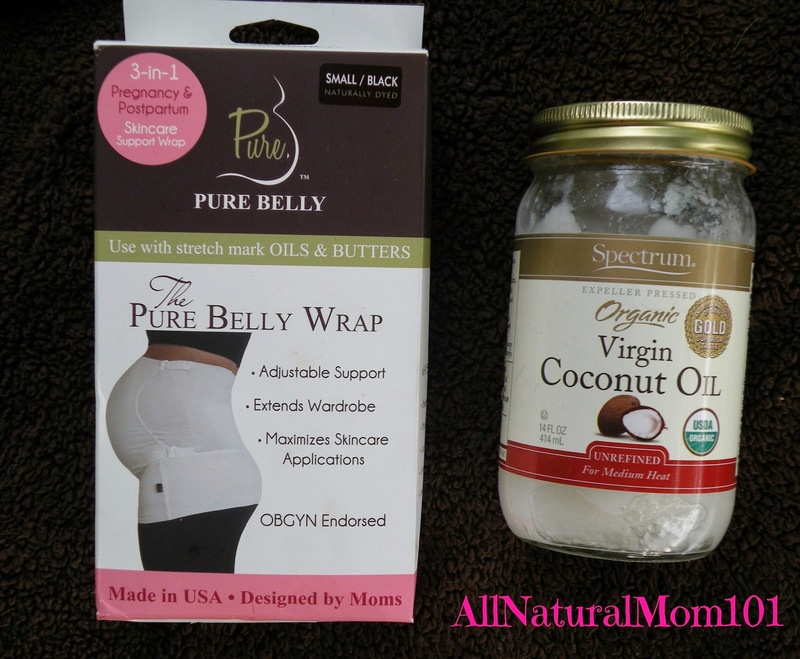 I tried everything to keep it moisturized and nothing seemed to work for me until I found Pure Belly! 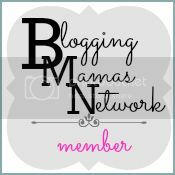 Let me Introduce you to Pure Belly Wrap! This 3-in-1 Pregnancy & Postpartum Wrap was designed by a mother of four, including twins, that allows a growing belly to be nourished and supported with breathable bamboo material that acts as a barrier to keep skin moisturized while protecting your clothes from staining oils & butters. With my crazy itchy belly, I was super excited to be able to try out Pure Belly! I received The Pure Belly Wrap in Black. I couldn't wait to put it on right away! I noticed how comfortable it is the moment I put it on. Pure Belly grows with your belly throughout your pregnancy with 6 inches of adjustable support at both top & bottom of the wrap! Heard of the Rubber Band Trick? 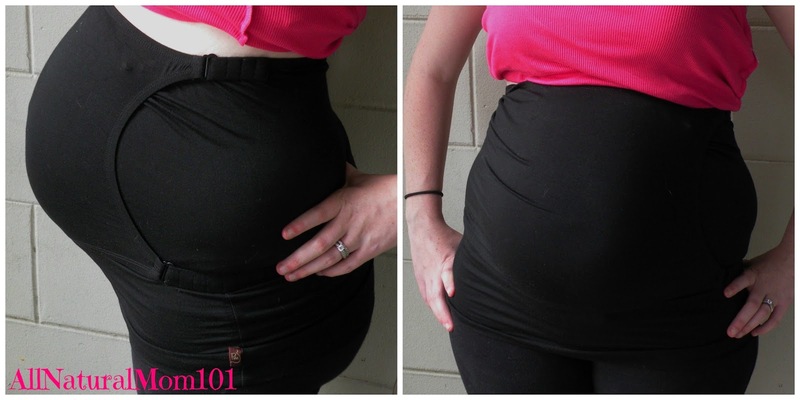 Pure Belly has a rubber band sewn in the wrap just above the hip band. It allows you to loop the rubber band around the button of your favorite jeans & through the button hole for a secure hold. Here's where the magic happens! Before putting on your Pure Belly Wrap, apply your stretch mark product weather that be sprays, butters, oils or lotions. I personally use Coconut oil! The two layers of Bamboo material will keep your belly moist and help prevent that dry itchy skin. Why Bamboo? 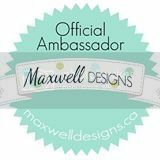 With its many natural properties, its breathable, antibacterial, antimicrobial, antistaic with any material, extremely stretchy and super soft! Did I mention before how comfortable it is? I wear my Pure Belly Wrap all day long! It's the first the I put on in the morning and the last thing to come off at night. My belly stays completely moisturized all day with just applying my coconut oil in the morning! It's so comfortable I sometimes forget that I even have it on. Continue using the wrap for those crucial Postpartum recovery months to reduce the visual effects of stretchmarks! The best part about Pure Belly Wrap is that it is Made in the USA! You can find The Pure Belly Wrap on Amazon, Buy Buy Baby & Bed Bath and Beyond! 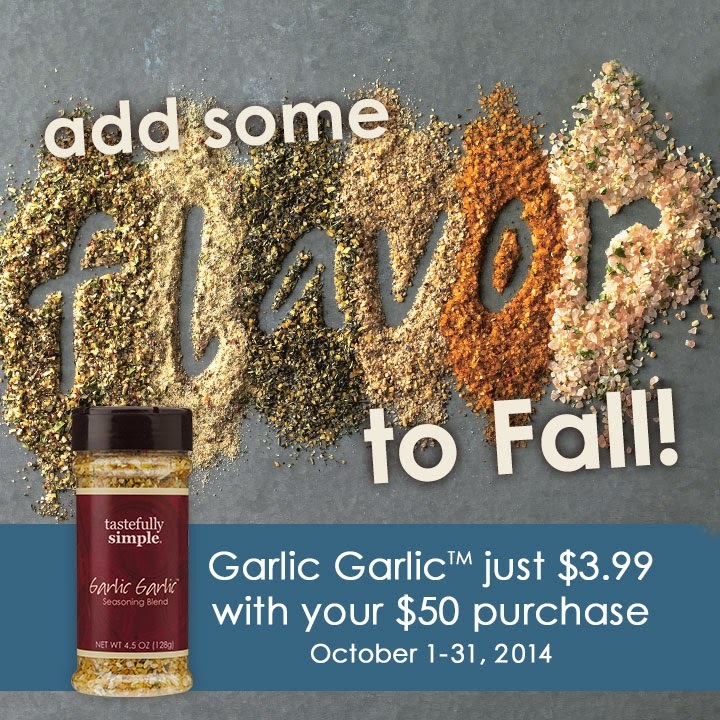 Find Pure Belly on Facebook! 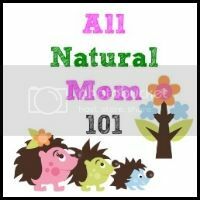 Pure Belly has chosen to giveaway a Pure Belly Wrap to one of All Natural Mom 101's Readers. 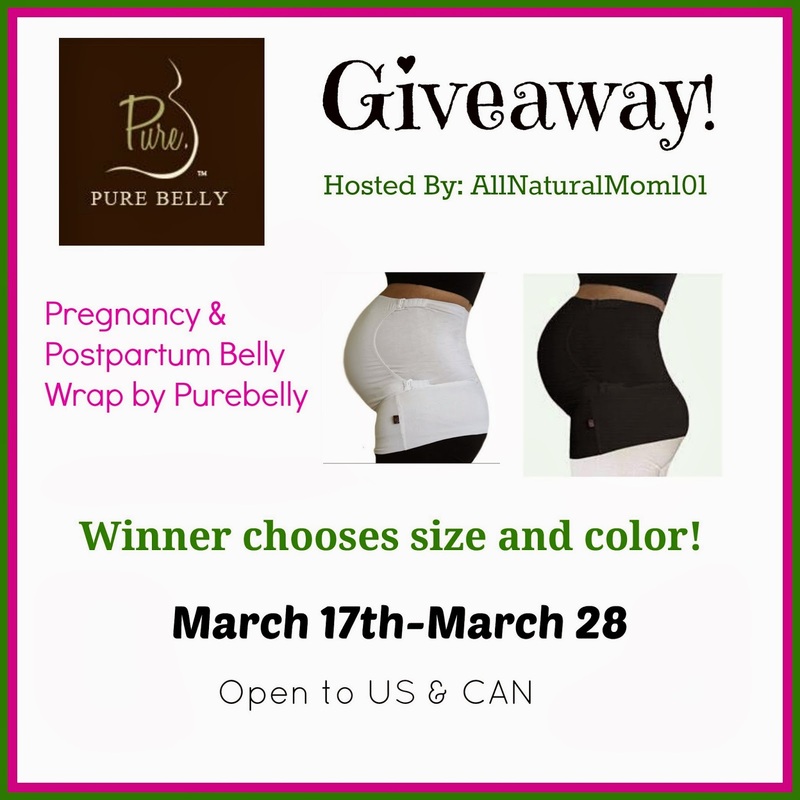 Winner will receive a Pure Belly 3-in-1 Pregnancy & Postpartum Wrap of their Size and Color of Choice! The Giveaway starts March 17th-March 28th. Open to US & CAN Residents. We are trying for our third! Not pregnant but TTC #2 right now! We will be TTC #2 very shortly (once I wean...stupid cycle not returning even though I only BF now twice a day). Trying for number 2 soon! Baby number 4 is due on August! Not pregnant yet, but hope soon!! !